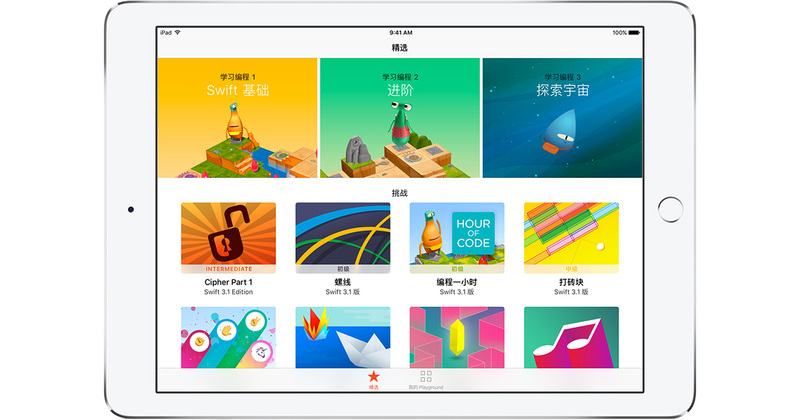 Apple’s promised Swift Playgrounds 1.2 update is out with localized support for Simplified Chinese, French, German, Japanese, and Latin American Spanish. The iPad app teaches coding skills for Apple’s Swift language so you can design you own apps for personal use or sale on the App store. It includes lessons and examples, along with templates to get you started on your own projects—and now you can learn in five more languages. Swift Playgrounds 1.2 is free and requires an iPad running iOS 10.0 or newer.